Audio interface works as a bridge between instruments or microphone and an individual’s computer. The signals which an instrument sends are analog,but computer deals with digital signals. 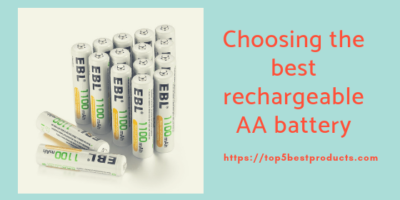 It comes in handy when an individual is handling more than one output or input device. Moreover, components inside a laptop or computer might create interference or latency. Hence, any kind of audio recording, which includes several instruments or even one, you would require the best audio interface. 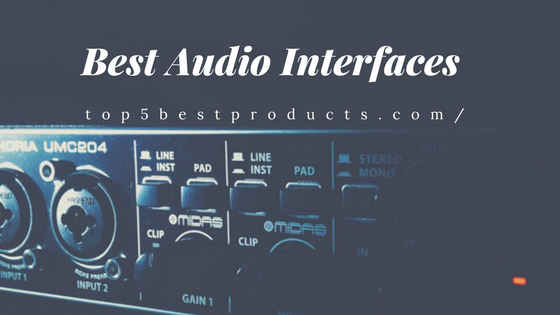 Take a look at the top 5 models of audio interface in 2018. This product comes with a Thunderbolt audio interference which offers low latency recording. It is made for perfectly syncing with Apple’s iMac and MacBook models. Though it costs a little more than the rest, the performance of this interface is always top-notch. 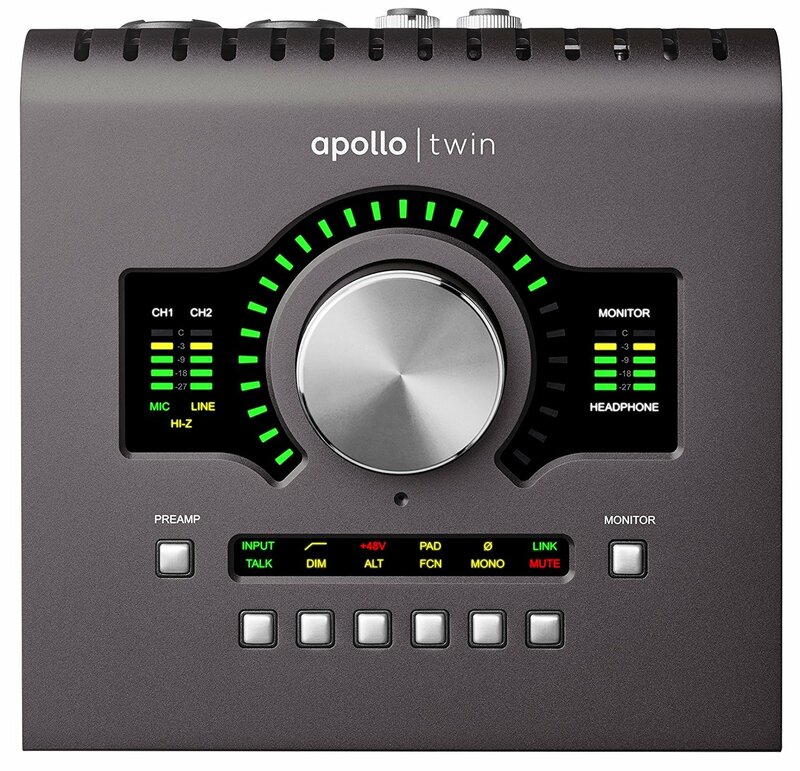 Apollo Twin MKII DUO has its controlpanel embedded on the top portion in contrast to other devices in its segment. It has the capability of emulating various amps with amazing sound quality. On the back, it consists of two XLR inputs, optical unit and two analog connectors which make this a compact product yet versatile. The Unison preamp makes this product unique as it offers various plugins, EQ setting, valves, etc., which provides natural and precise sound. Also, these features allow real-time tracking and monitoring. Thismodel offers best recording interfaceoption for both pros and amateurs especially if they use Apple products. 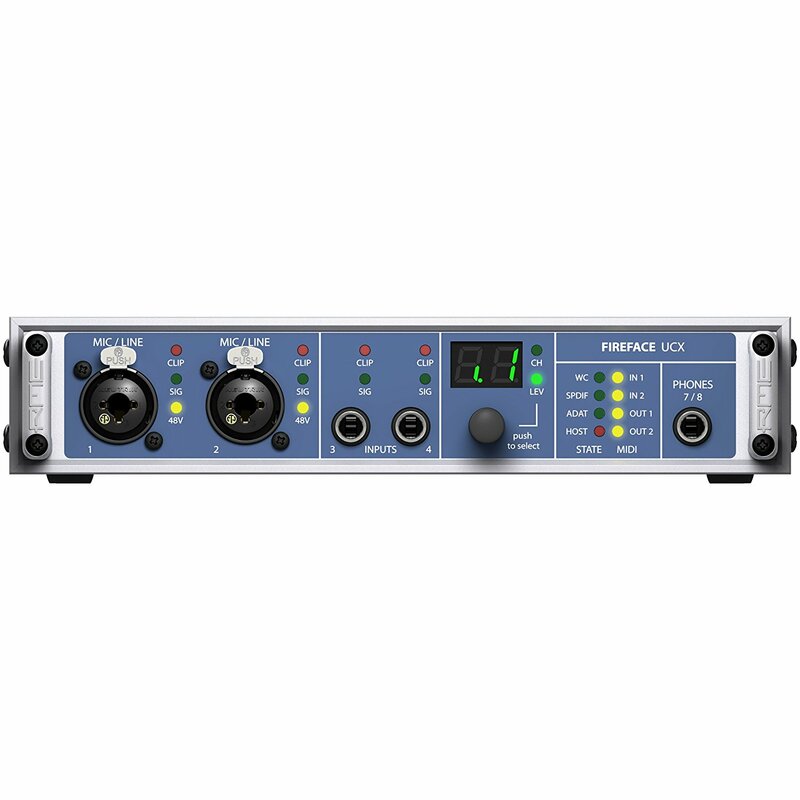 Fireface UCX is an idealequipment for audio engineers searching for the best portable audiointerfaceunit with various functions. It sports two standard instrument slots along with two other combined inputs and a knob for controlling the input levels. The small screen helps in determining the levels and hasa headphone output jack on its right side. On the back, a total of ten I/O are present 4 for input and 6 for output. It has ADAT connecting as well as S/PDIF. For extended connectivity, a MIDI slot is provided. This provides numerous input choices making it ideal for studio usages as well as live recordings. 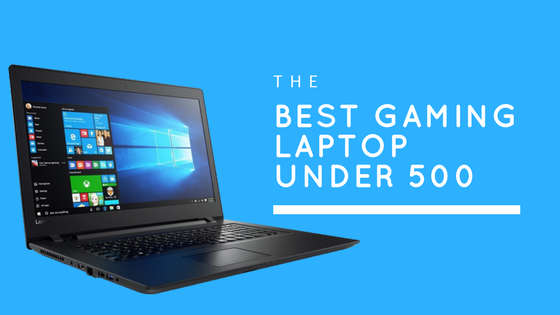 One of the most convenient aspects of this item is that one can either use a Firewire or USB connection. It also offers iPad compatibility and its internal memory allows presetting audio for efficiency. Though it comes with just two preamps and only one headphone output jack, this powerful, mobile interface is quite handy for studio and stage purposes. Scarlet 18i20 is an ideal option for people who are beginners in the music production industry. This model focuses on the studio needs of more advanced form and thus, holds high audio interface reviews from the users. Two combined analog inputs are on the front which makes it simple even for beginners. LED visualizer aids in knowing the individual channels’ dB, which allows one to understand that whether any of the channels are clipping without even looking at the desktop. Other controls include mute and dim buttons, two outputs for headphones and a monitor leveling knob. However, the back panel offers things which are more interesting to sound engineers. Other than the 3-8 input lines, there are ten output lines along with a MIDI I/O. Its optical connection feature allows a person to connect eight individual channels to a single device. S/PDIF choice offers a total connection of eighteen gadgets. It also comes with DAW software and can be controlled with iOS systems. Also, famous musicians like Sam Smith, members of Foo Fighters use it for the best recording interface forhigh performance and several I/O. In the front two combined outputs along with a small screen offering information about channels and presets. A big dial for precise setting of main level sound as well as two knobs for controlling individual headphone. The back comes fully loaded with six analog inputs and eight outputs along with an optical I/O. S/PDIF or USB 3.0 makes it easy for connecting to your Mac or Windows computer. However, no MIDI is available. Total eight XMAX preamplifiers, helps in converting weak signals into strong ones for processing it further. PreSonus AI Fat Channel Processing provides Studio 192 with high quality audio as well as enables effect for monitoring purposes. Fully loaded features and mobility makes it the best audio interface under 1000 dollars,for people who are in music production business. Behringer offers the best portable audio interface for beginners in the production industry. The company is known for its sound quality and build. Its smaller size makes it easy to fit in any spot while making the traveling convenient too. It powers through USB connection as well. Two XLR/TRS combined inputs on the front offer adequate connectivity. Separate toggle buttons help with the gain controls and the LEDs dedicated to each channel makes an individual know whether a channel is active and if it’s clipping. 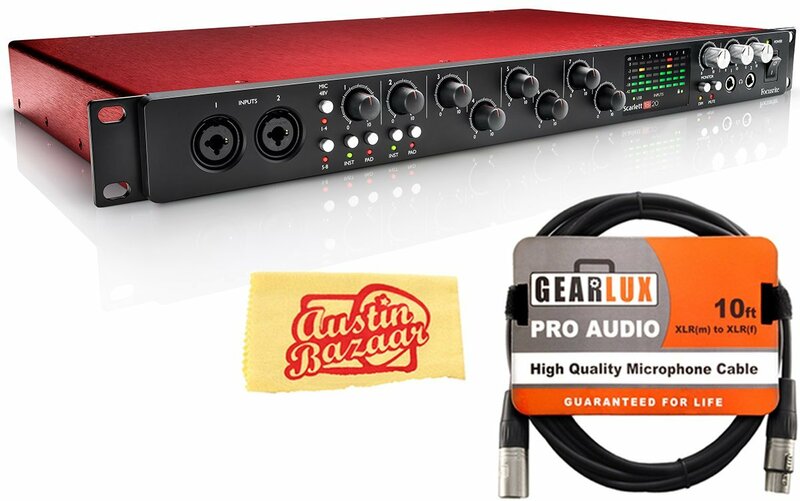 One of the prime features is its actual sound quality recording, as this product utilizes two Midas preamps, people get recordings of24 bit/192kHz which is quite noticeable. These are the best audio interface of 2018 which professionals use in the music industry. This list will help you in understanding the features which in turn will assist you in making the right purchase.